Hello! 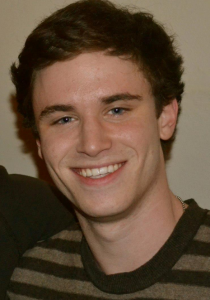 My name is Stephen Schroder, and I am eighteen years old. I was born and raised in Chatham, New Jersey, with my mother, father, and 15-year-old sister, Natalie. I live in Morrissey hall, and although still undecided, I am currently planning to double major in Finance and German with a minor in Public Policy. My hobbies include soccer, racquetball, hanging out with friends, and listening to all different types of music. One of the many reasons I chose Notre Dame was the fact that the University offers so many opportunities, such as this one, to study abroad. After taking German all four years of high school and becoming an officer of my school’s German club, I made the decision early on that I would continue studying German at the college level and beyond. A large part of the reason that I like German so much is because it provides me with a distinguishing factor. Practically speaking, as a business major, it is necessary to recognize that Germany’s economy has a strong hold in the ranks of economies worldwide, and if I were ever to apply for a position at a German company (which is a strong possibility), such as BMW or Deutsche Bank, having a knowledge of the language could give me that extra edge. Based upon the work I have done in my German courses thus far this year, it is safe to say that my weakest point is speaking, which could most easily be addressed by being immersed in the day-to-day lives of those who are fluent. This SLA grant gives me the chance to accomplish this, and I plan on taking complete advantage of it. As a result of my summer in Germany, I hope to pass the point where I need to think carefully about every sentence before I speak in German. I want to improve my accent, speak in a more comfortable and confident manner, and talk at a quicker pace. On top of this, I would like to take from this experience what classroom learning cannot adequately provide me with; in other words, I want to use this experience to both seek out and understand the many cultural differences that exist between German and American citizens. Topics that specifically interest me include the ways that German public education differs from that in the United States and the average German citizen’s perspective regarding different parts of Germany history, such as World War II, the Cold War era, and so forth. Finally, on a lighter note, I simply hope to have a gratifying four weeks, experiencing things that I could not experience in the United States with people that I would never had met without this opportunity. 1. By the end of the summer, I will be able to speak, read, write and listen at a level of proficiency equal to at least one semester beyond my current German coursework placement at Notre Dame. 2. By the end of the summer, I will have a much better grasp regarding the ways that the average German citizen views both German history and the United States. 3. By the end of the summer, I will have a better feel for who I am as a person because of the experiences that I encountered on this trip. In order to take the most from this experience, I plan on getting involved as much as possible outside the Goethe Institut. Specifically, I am looking to get involved with some of the recreational soccer teams in Munich. I have been playing soccer since I was really young, and just the chance to practice at the European level would not only be an amazing experience with regards to my soccer skills but also with regards to my German speaking, considering I would need to speak in an urgent, almost instinctive manner on the field. On top of this, I am looking to volunteer somewhere after classes, which will keep me practicing as well. First off, I want to apologize for the delay. The excitement of moving to a new city on my own, where the citizens think, act, and speak quite differently than I, got the best of me, I guess. Nonetheless, I have been taking a ton of notes, and I have a lot to say. I don’t think fulfilling the minimum requirement of six posts is going to do my trip justice, so I plan on typing away until I see fit. Here goes nothing. I have been looking through some of the other SLA blogs, and the general consensus seems to be that most of the Domers left the states with a sense of anxiety and uneasiness. I would say that I had the opposite problem. I strutted onto that plane with my head held high, uttering “Guten tag!” to every returning German native I passed on the way to my seat. Don’t get me wrong – I was still naturally worried about the logistics of the trip: what my apartment would be like, how I’d mesh with the people in my class, etc. But I figured, with five years of German under my belt, I had a good handle on what was to come. And honestly, I’m happy that I had the false sense of confidence that I did. Because the reality check that hit me smack in the face when I landed has allowed me to not only learn the language better but also to open my mind to how other people from different cultures, lifestyles, and backgrounds live. I hated my first day in Munich. Absolutely dreaded it. I couldn’t sleep on the plane at all, (which is comical, considering anyone who knows me knows that I am all for sleeping excessively), and I was jet-lagged out of my mind. It took me about five times longer than it should have to figure out what type of train ticket I needed to buy and how to buy it. I finally arrived at the hotel that I would be spending the night in before my apartment opened up, and it was certainly a sight. Now that I have seen most of Munich, I can honestly say that I picked the worst spot to spend my first night. 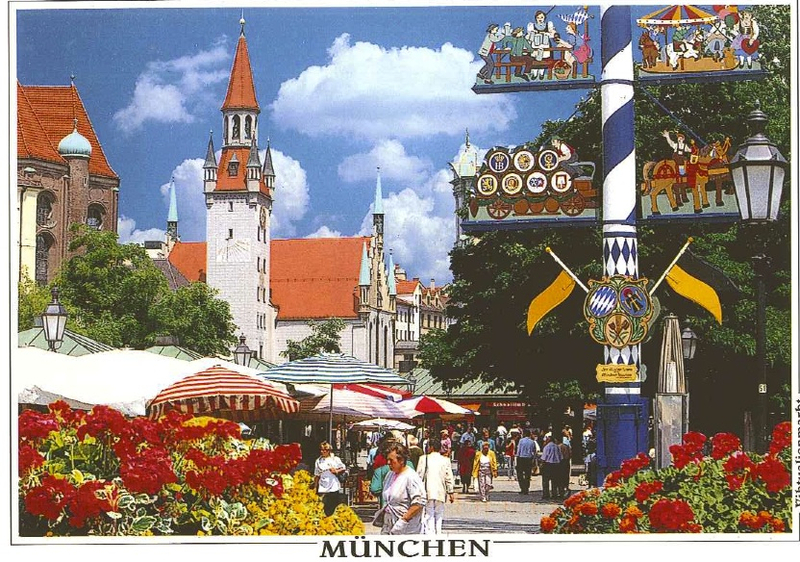 Munich, along with a large portion of southern Germany, has become extremely populated with Turkish immigrants over the years, and with them, come the cheap Döner shops, casinos, hookah bars, and strip clubs that they start up. (I certainly see this as a future blog post topic because most of the Germans that I have spoken with already are, to put it politely, “not very happy” with the way they are currently sharing the city.) My hotel was right in the middle of all this chaos, and naturally, it didn’t make for a good night’s sleep. I ended my first day at a Döner shop, where I tried to order food in German for the first time. The man, realizing I wasn’t a native speaker, immediately switched to English and began using me in order to practice his own speaking. I lay in bed that night, wondering if I had made the right decision to come here. I now sit in my apartment one week later, with the general understanding that this has been and will be one of the best experiences of my life to date. I have been attending the Goethe Institut for about a week now, and between what they have done for me and what I have gotten out of just interacting with the locals, (buying food, talking with natives on the U-Bahn, etc. ), my German has gotten so much better. My class is at the B2,1 level, which is basically considered proficient (the classes range from A1 to C3), and there are eleven students including myself. But here’s the kicker – we come from all different geographic locations, economic backgrounds, points in our lives, etc. USA, Canada, Spain, Italy, Switzerland, Japan, South Korea, Singapore, France. Ana just lost her job in Spain, (the unemployment rate there for young adults is something close to 50%), and she needs to learn German for the firm she’s interning at this fall. Mesane is a music conductor, who recently moved to Munich, and to fully understand the works of Beethoven, Bach, (name a famous composer and they’re probably German), he needs to speak their tongue. Carmen wants to come to med school in Germany because she can’t afford it back home. Aaron loves to brew home-made beer; he eventually wants to start his own business and what better way to learn about beer than to immerse yourself in the culture that values it the most. Roman is 50 years old, and he is trying to master his fifth language. I can go on and on, and this is just my class. There has got to be a good 15-20 classes in session right now. I have discussed democracy with a guy from Sweden, talked politics with another from France, argued with my teacher about the German educational system. Heck, I’ve learned what dating and marriage is like in South Korea. And its all been in German. You don’t just get these opportunities in life, and I plan on making the most of it. My teacher asked me the first day why I was learning German. I told her it was because I started learning it freshman year of high school, and I had gotten this far, so why not become fluent? Confused, she rephrased her question and asked what profession I was learning German for. This conversation went on for a good 10 minutes, and I came to realize that she could not fathom the fact that I was learning German because I simply wanted to. Cultural difference numero uno – the Germans are EXTREMELY career-focused. It’s evident in their educational system. When students reach ten years of age, teachers throughout Germany choose what school the students get to go to: Gymnasium, Realschule, or Hauptschule. As long as everything goes accordingly, those who take the path of the Gymnasium are able to study at the University level. On the other hand, those who take the paths of the Realschule or Hauptschule end up with a more practical occupation. Interestingly enough, there is little to no leeway – you get what you get. Personally, I have problems with this system, but studying in Germany does have its advantages. I met a 20 year-old named Marcus who lives in Munich, and after a year of studying law, he decided it wasn’t for him; he ended up losing 500 Euros. Try that switch in the US, and see how much it costs you. This career-focus is also evident in their bike paths. Yes, bike paths. I walk from my apartment to the University everyday, there and back, and the half-hour walk is full of people trying to get to work, a large portion of them by bike. Basically every street has a bike path, and I kid you not, if you stand in the path, bikers will go through you. Same goes for cars; jaywalking is a no-go in Germany. On a brighter note, my German vocabulary has become more colorful from all the times I’ve almost been hit with a moving vehicle over the last week. Back again. Been having trouble keeping up with my blog while in Germany, but I have been keeping tabs on every story I want to tell, topic I want to discuss, etc. Don’t you worry – it will all get on here eventually! My German has gotten a ton better, but I still have a while before fluency. One of the best parts about my class is that, like I said earlier, many of my classmates are older. Men and women in their 20’s and 30’s, trying to find work in Germany. In other words, the faster they can memorize German words, the better chance they have at earning a living for themselves and, for some, their families as well. Consequently, they push me harder, and I learn more. This being said, there are some obstacles to my language intake that I don’t think I fully understood before I came here. For one thing, learning a language 24 hours a day, 7 days a week is a tiring process. It is really difficult some days to not give in and spend an afternoon at one of the beer gardens with a bunch of other Americans. Nonetheless, I am pretty proud of the way I have been carrying out my German outside the classroom. This is where I hit upon another obstacle. 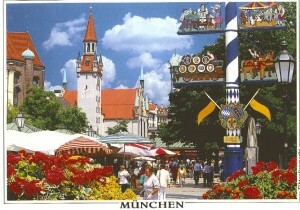 Munich is the third largest city in Germany, and foreigners consist of more than 20% of the city’s population. Therefore, almost everyone here speaks English. And to pour salt on the wound, they all speak English better than I speak German. At the beginning of my trip, this was a bigger problem; everyone I dealt with would recognize my accent, and thinking they were helping, they would switch languages on me. Of course, I don’t blame them. They were just trying to be polite. However, I need all the practice I can get, so I have learned to ask the locals I speak with to stick to German. But I will tell you right now – there is no better feeling in the world than asking a local for something somewhat complex in German and leaving without them having any idea you weren’t born here. Usually do a little fist pump afterwards too. I love soccer. Like, a lot. Been playing since I was a kid, and it is amazing to be able to live somewhere that has the same passion for the sport as I do. My teacher was astonished the other day when I went on to name every single starter on the German national team. I had to explain to her that the few who do follow soccer in the US will more often than not watch European ball because it’s… well, better. I think my friend Niko who lives in Munich best stated the difference: “Yeah, I watched an MLS game once. Haven’t since.” Anyways, the reason I am typing about this is that the Euro Cup has been going on since I arrived. Also known as the UEFA European Football Championship, the tournament takes place every four years, whereby the best of the European national teams can compete to see who’s number one. The excitement here for the cup has been out of this world. I knew it was going to be a rowdy time when I watched the first game (Poland v. Greece) in a Turkish bar near my apartment. After a 1-1 tie, an elderly man in the bar became furious, (mind you, it is mid-day at this point), smashed his beer bottle outside on the sidewalk, and stormed down the street. To this day, I can’t tell you who he was rooting for. I have spent every German game at the Hirschgarten, where the atmosphere has been incredible. Huge groups of people, all dressed in German attire, screaming their heads off. In one of the games, an actual fight broke out – some Holland fan was cheering a little too loud, and he paid the price for it… It has definitely been a good way for me to talk with locals too. Simply asking the people next to me who they think should be starting, who is their favorite player, etc. Not to mention, Germany has been playing stellar. My main man Mario Gomez is top of the leaderboards in goals. The best part is I will be spending my last night watching Greece and Germany duke it out in the second round of the Quarterfinals. It should be interesting because obviously a big topic around here has been the Euro Crisis. Of course, Chancellor Merkel, who plans on attending the match, has already made it clear that it is purely a sporting event. However, in one of the pre-game discussions I saw on TV a couple of nights ago, one of the reporters joked something along the lines of, “If we lose to Greece, will they at least pay us back?” Should be a good one. Sorry, it is so late, but after completing all of the reentry assignments for the SLA grant, I realized that I never really summed up my experience on my blog. My trip to Germany is an experience that I will never forget. I think my greatest memory was when I discussed the Holocaust with one of the tour guides I met in Munich, Wolfgang, and what it meant to him. He began to tear up as he explained how it is difficult for him to accept that his son still must live with the burden of the Holocaust, solely because of the nation he was born into. I don’t think until that point did I really understand the severity of the toll that the Holocaust has had on German national pride and, furthermore, how important it is to each and every individual native that they overcome the faults of their ancestors. This is one of those things you cannot fully understand from a textbook, and this type of conversation was one of the many reasons I applied for the SLA grant. Towards the end of my time in Munich, I actually contacted and met up with a former Notre Dame grad. His name is Pete, and he graduated Notre Dame about 8 years ago. He was working for an engineering firm in Munich, and after seeing his name on the Germany-Notre Dame alumni page, I contacted him. Although we had little in common, the fact that we both went to Notre Dame and we both were in Munich was enough to sustain an incredible conversation over dinner. When I went for my wallet after the meal, he told me that dinner was on him, and when I thanked him, he said that I just make sure I pay for the next Notre Dame student 8 years down the road. This story just provides evidence for the type of close community that we have formed at this University, and the experiences, such as my trip, result from this tight-knit union that is Notre Dame. I thank everyone who helped to make my trip happen, and I just hope that someday when I am abroad on work endeavors, I will be able to pay it back by taking an ND student out to dinner. I think the biggest thing that I learned with regards to the language acquisition process is, if you are lucky enough to be able to learn a language in its native land, it is vital to apply what you learn in the classroom to real-life settings. Naturally, I took in a lot of words and phrases from going to class, but a lot of times, I found that there were differences in outside-the-classroom social settings that the class did not prepare me for. For example, when speaking, most native-speaking Germans would cut off certain words, and that was something I had to take into account. The cultural differences in Germany were not too difficult to adapt to, but I will say that had I entered the workplace there, I probably would have had a more difficult time because it is so different from that of the United States. Finally, I would argue that I did meet my three goals that I set for myself at the beginning of this experience, and I did this because I took the approach of becoming an extrovert and putting myself in situations that I normally wouldn’t in order to better my understanding of German. To me, this experience was much more than a trip to learn German. I spent a month with a class of students from all over the world. I learned just as much about their cultures, (Japanese, French, South Korean, Spanish, Italian, Singaporean, Canadian), as I did about Germany. Without a doubt, this experience has opened up my mind to the many different ways of living. I saw what it was like to live somewhere where all the stores closed rather early or where an extremely large portion of the locals biked to and from work. I had to try to explain to the rest of my class why Americans have a healthcare problem or why I pay so much for a university education. I heard from a native what it is like to, to this day, deal with the consequences of having ancestors be involved with the Holocaust. Those are the types of experiences that kind of stick with you on the plane ride back and influence your perspective on what you thought you knew. My advice for a future SLA grant participant would be to not take the experience for granted, but rather embrace every second of it. I plan on continuing with German, at the very least until I graduate Notre Dame. Ideally, I will be able to use this experience to advance myself in the job market, whether I actually work for a German company or not. Having this type of international background, especially for a business major, is extremely helpful when it comes to entering the real world and working for a company that is looking for their employees to have more open-minded perspectives. As a prospective accounting major, possibly looking to work for one of the Big Four, it is extremely likely that I will be traveling at some point in my career, and having already done so will help out in that regard. All in all, I am very lucky to have had this experience, and it will be one that I take with me for the rest of my life.